Mastodon abruptly cancelled their tour with Dinosaur Jr. last week due to "a critical situation of a member of the Mastodon family." 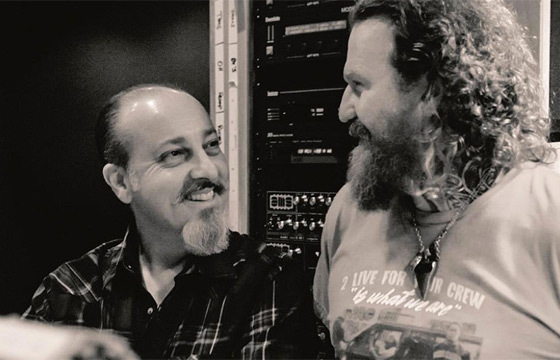 While Mastodon didn't elaborate further at the time, the band's Brent Hinds and Brann Dailor have now revealed that the group's longtime manager Nick John has been diagnosed with pancreatic cancer. Both Hinds and Dailor took to their Instagram over the weekend to share the sad news. In Hinds' post, he credited John as the man "mainly responsible" for Mastodon's success and wrote their manager "has been fighting so hard that he is withering away and taking a little bit of me with him." Dailor, meanwhile, wrote, "Help send all the power and love of the universe to our dear friend and manager Nick John. I don't know where Mastodon would be without him. He is absolutely integral to the success we have achieved as a band not to mention one of the best people you'd ever hope to meet. We all deeply love and care for him. Send your love his way." You can see both their posts below. As previously reported, Dinosaur Jr. have announced a series of makeup shows without Mastodon. You can find that schedule here.